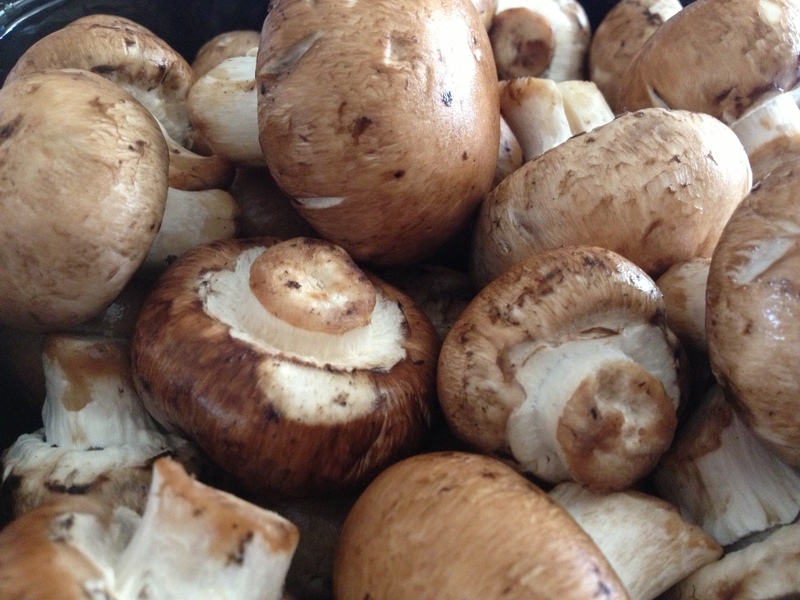 OK, so the other day when we were at Costco I picked up a package of baby bella mushrooms because I’ve been on this kick to get different types of veggies into our family’s diet. Hands down, baby bellas are so much better than button mushrooms (as if you didn’t already know that). I knew I had a few recipes pinned on my Sides & Salads board, but I needed a main dish because I didn’t have time to thaw my chicken thighs. 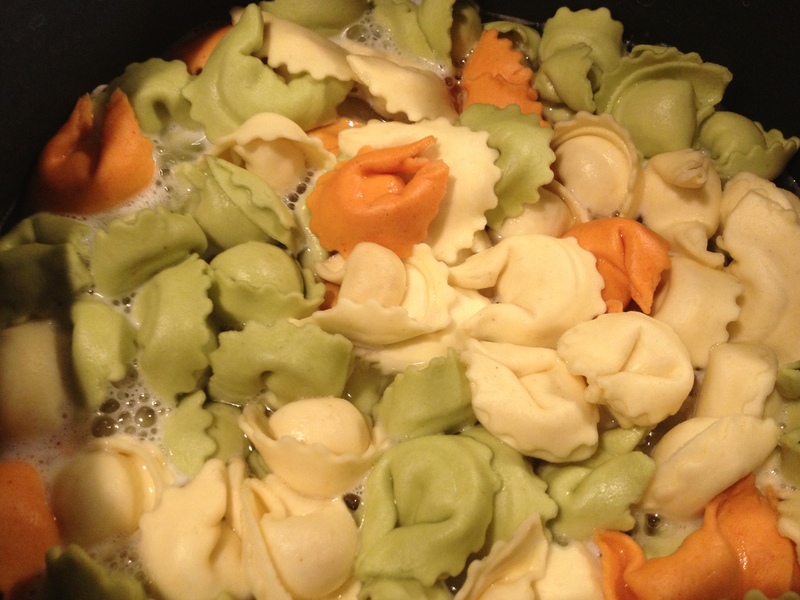 When I realized I had a pack of tortellini in the fridge, I figured I could do something with both of them. 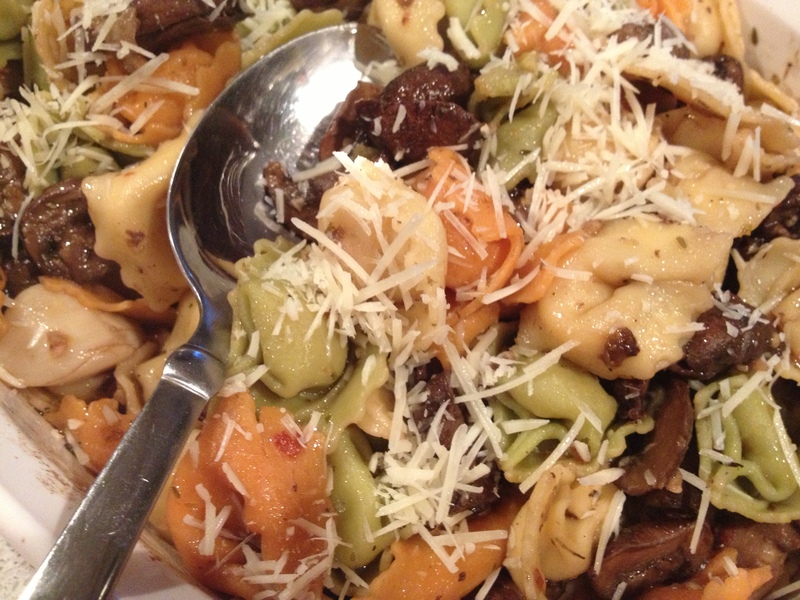 As luck would have it, I came across Roasted Garlicky Mushrooms with Pasta from everybodylikessandwiches.com. I didn’t have capers and I didn’t have time to bug my neighbors for a hand-picked Myer lemon, so I decided to mash together the Marinated Mushrooms recipe from Dinners & Dreams and the pasta recipe. I know, I know — soooo inventive, right? 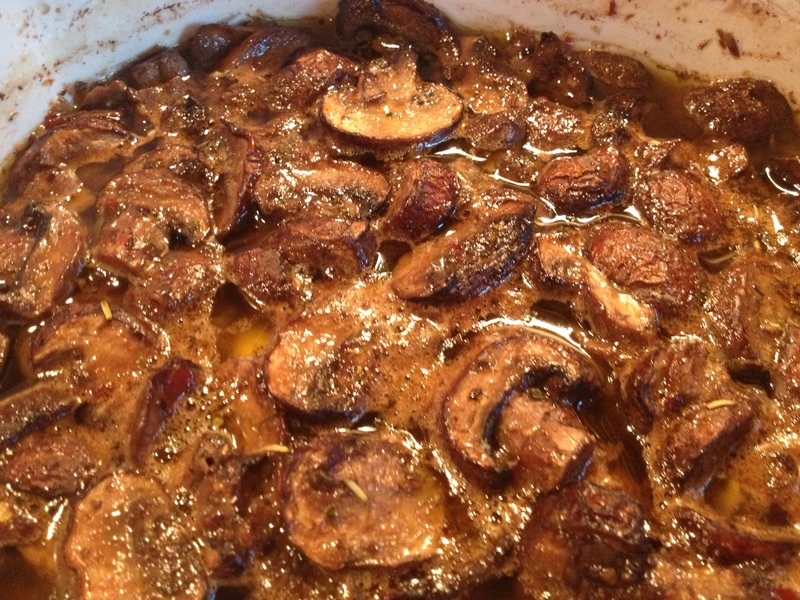 Well, let’s just say the mushrooms smelled divine as they roasted in the oven. Little man had three helpings. 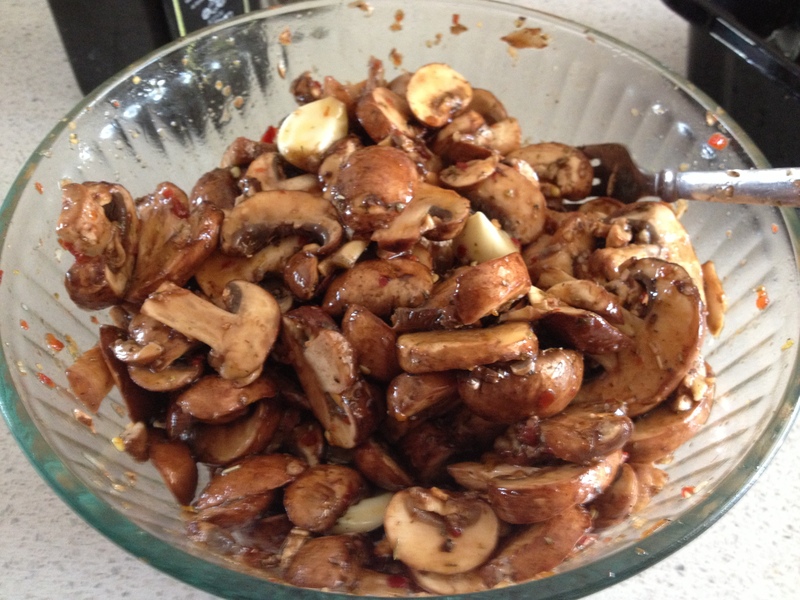 Even though the girls protested eating mushrooms (I think it had more to do with the spice because they had a bit of a kick for little mouths — but I’d make it even spicier for adults), they finished their entire servings. The hubs loved it, too. So, here’s my recipe mash-up. Next time I would add shallots and/or red onion to give it another depth of flavor (hell, I’d even add some pancetta to it, too). 1. 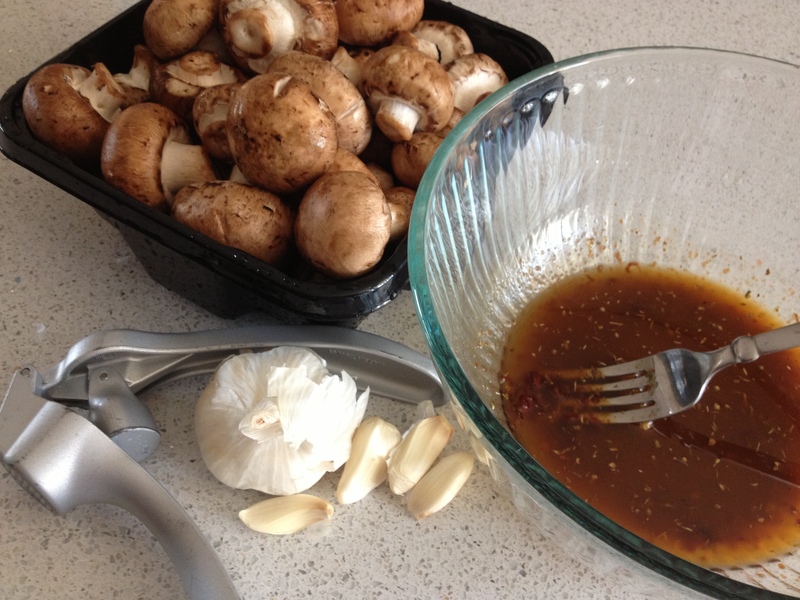 Whisk the chili garlic sauce, olive oil, balsamic vinegar, oregano, Italian seasoning and pressed garlic together in a medium bowl. Add cracked pepper and salt to taste (surprise! I always use a garlic pepper mill and I also have a garlic sea salt mill, so I used those in addition to my pink Himalayan sea salt). 2. Toss in the sliced baby bellas and whole garlic cloves and make sure they all get nice and coated. You could mix up your marinade in a 2 qt casserole instead of a bowl because that’s where your mushrooms are going to end up — this way you have one less dish to wash. Sadly, hindsight is always 20/20 and I had an extra bowl to take up space in my sink. 3. Refrigerate at least 30 minutes. I had mine marinate for a couple hours. I bet you could even leave them overnight for extra flavah. 4. 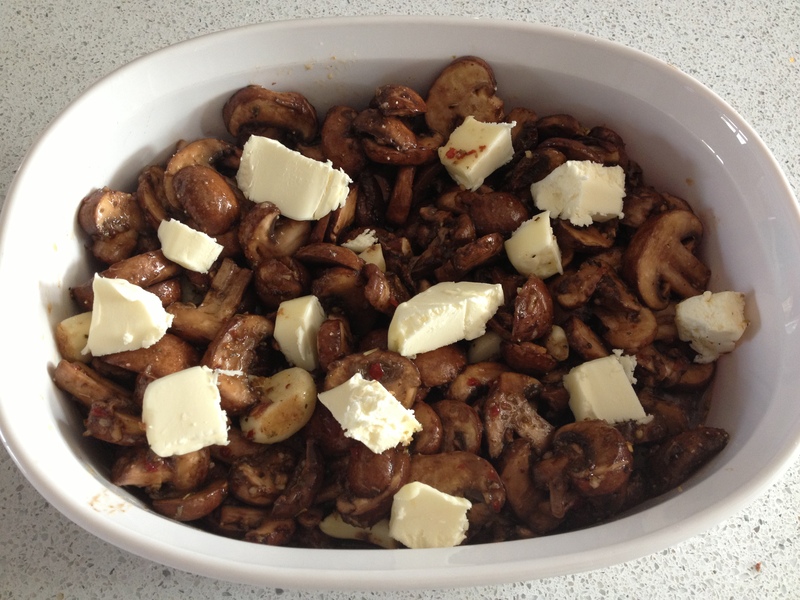 Dot the unsalted butter on top of the mushrooms and stick those bad boys into an oven preheated to 450F to cook for 30 minutes, stirring halfway through. 5. Get your salted water boiling for your pasta and cook according to package instructions. 6. 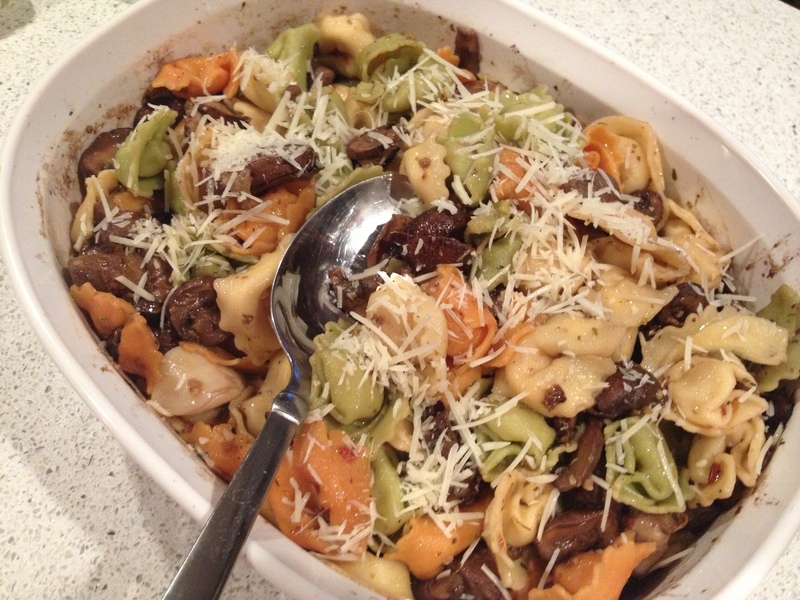 Once your pasta is cooked and your mushrooms are roasted, toss everything together in the casserole dish and sprinkle with some shredded parmesan. What would you do differently? Any favorite ingredient you might add? Let me know!